"The damages caused by the corrosion of steel or due to a chemical reaction with steel to the atmosphere, soil or water represent a cost equivalent to 4% of industrialized countries' gross domestic product (GDP). But one of zinc's main characteristics is its ability to protect steel against corrosion. Researchers estimate that 25 to 30% of corrosion could be eliminated by applying adequate protection such as hot-dip galvanizing, painting galvanized steel or stainless steel, in some applicable environments." 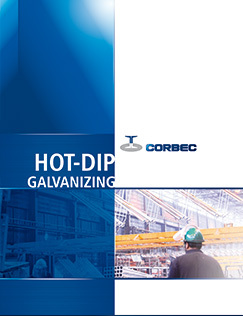 "With over 40 years of experience in hot-dip galvanizing and a solid commitment towards its customers, Corbec Corporation has become the leading galvanizer in central and eastern Canada. 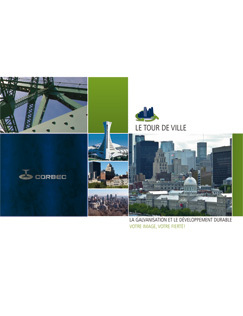 Corbec has participated in and has been involved with galvanizing associations, as well as technical and engineering societies, throughout the world, for many years. Operations personnel and management are on the leading edge of technological development and general improvements in our industry." "Study of the Embrittlement Phenomenon on Bent Reinforcing Steel Bars." "Problem statement: Recent events that have occurred in the industry show that reinforcing steel bars bent before galvanizing have high rates of breakage when they are subjected to inbending tests. To explain these counter-performances, the literature on the subject mentions that two phenomena may be involved in ruptures of bent and galvanized reinforcing steel bars; hydrogen collection and accelerated aging." 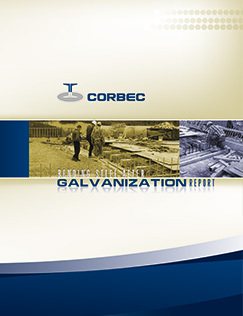 "The galvanizing process has existed for over 250 years and has been a mainstay of North American industry since the 1890s. Galvanizing is used throughout various markets to provide steel with unmatched protection against the ravages of corrosion. 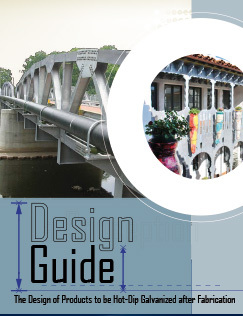 A wide range of steel products - from nails to highway guardrails to the Brooklyn Bridge's suspension wires to NASA's launch pad sound-suppression system - benefit from galvanizing's superior corrosion protection properties." 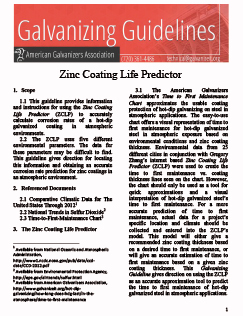 "This guideline provides information and instructions for using the Zinc Coating Life Predictor (ZCLP) to accurately calculate corrosion rates of a hot-dip galvanized coating in atmospheric environments." 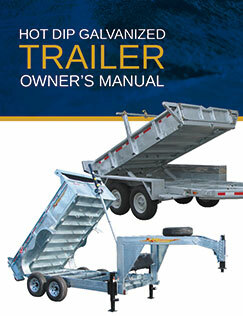 This guide provides information on the maintenance of galvanized products and the service life of a galvanized trailer. It also answers frequently asked technical questions such as "Why is the coating not completely uniform and sometimes rough?" and more.